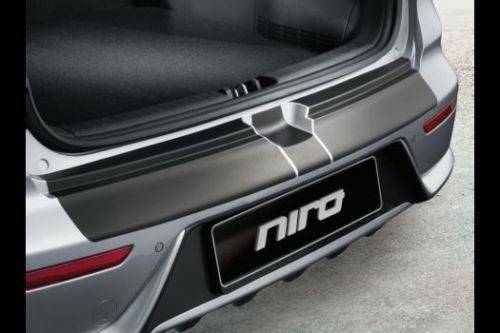 This Genuine Kia Niro Rear Bumper Protection Foil will help protect your vehicle from scuffs and scrapes from regular loading/unloading of the trunk, keeping your car’s paintwork in pristine condition. A simple solution to avoid chips and dents that could require a more expensive fix. Comes in black or transparent.